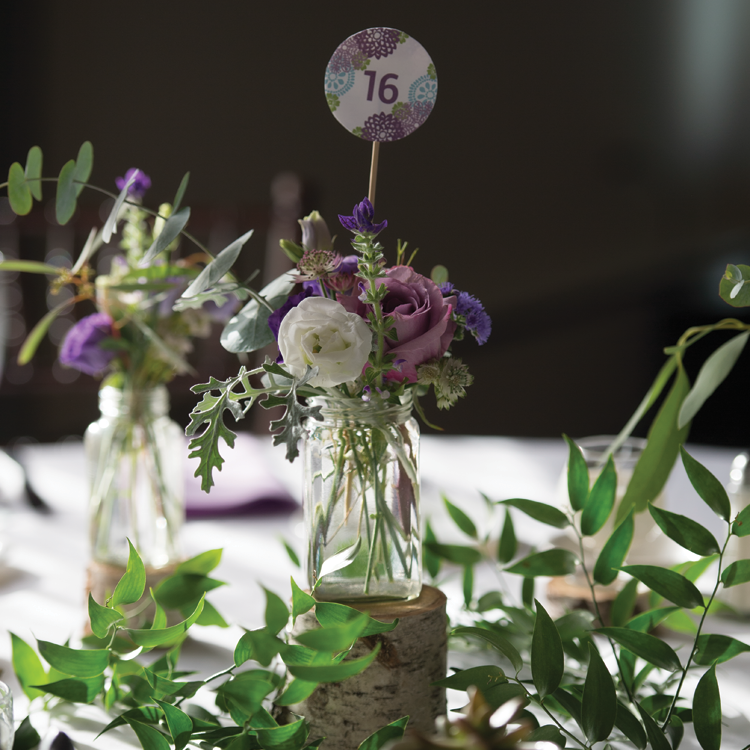 The bride's Love of crafting and handmade products were the Inspiration behind this design. Colors seen in nature with pops of purple became the color palette. The main element used throughout the design is a variety of flower stamps which helped to create the handcrafted elegant look.